Just in time for fall and its most notable Fest, this limited release Imperial Oktoberfest Lager is our emboldened Prost! to one of the world's most recognized styles. 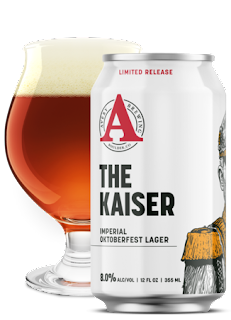 The Kaiser weaves together rich, toasted Vienna and Munich malts with the floral spiciness of Hersbrucker and Bravo hops to create a bold and brazen dry Imperial Oktoberfest.